The Ruben Loftus-Cheek and N'Golo Kante Chelsea FC special - The Chelseadaft Vlog. 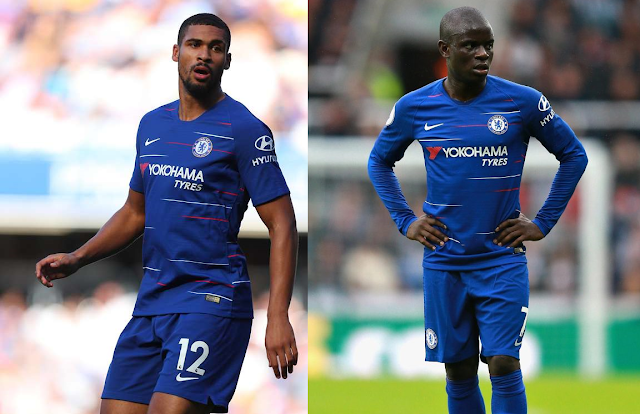 In today's Chelsea Vlog I want to focus on Ruben Loftus-Cheek and N'Golo Kante with their current roles at Chelsea. One has been advised to leave Chelsea or run the risk of going "stale" here and the other, in a new role, is loving life having rejected a move to PSG in the summer. RLC has been advised to leave Chelsea by Rio Ferdinand or run the risk of going stale here. However, the player himself has spoken of a willingness to learn under Maurizio Sarri and has revealed the conversations they have had in relation to his future. N'Golo Kante has revealed that he turned down a big money move to one of Europe's top clubs this summer after speaking to Chelsea and stating that he is more than happy here and never looked to move away. Kante also speaks of his new role which is still weird for me. He talks of loving the new role and talks more goals but can he be just as effective from that position as he has been over the last three years as the defensive midfielder?